Fans of historic al mysteries that are fictional might want to check into the Da Vinci Code. 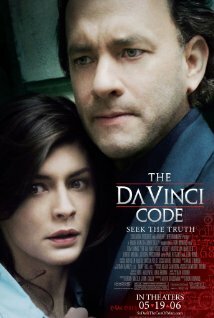 A popular book turned into an onscreen mystery and thriller, the Da Vinci Code has an amazing storyline. The main character of the movie is very good at solving puzzles as well as understanding history. He becomes trapped inside a feud between the church and a mysterious organization after a priest is killed in a peculiar way. Now he must figure out the truth behind it all before time runs out. This movie is rated PG13 so younger viewers should watch this movie with their parents. To learn more about the film, the actors, and other viewer’s reviews, go to http://www.imdb.com/title/tt0382625/?ref_=sr_1. This film gets a four out of five popcorn rating.